From the Space Balls, the Dizzy X, and the V4 Bungee Trampoline to water slides and sports attractions, we have a lot of new attractions. Make sure to check them all out on our New Attractions page. We’re gearing up for our Spring season and whether you’re hosting a corporate picnic, church function, school or a neighborhood gathering, we have lots of fantastic attractions to entertain the guests at your party. Spring is one of our busiest times of the year so make sure to book early. We really enjoy being a part of special events and helping people to have a great time at parties! 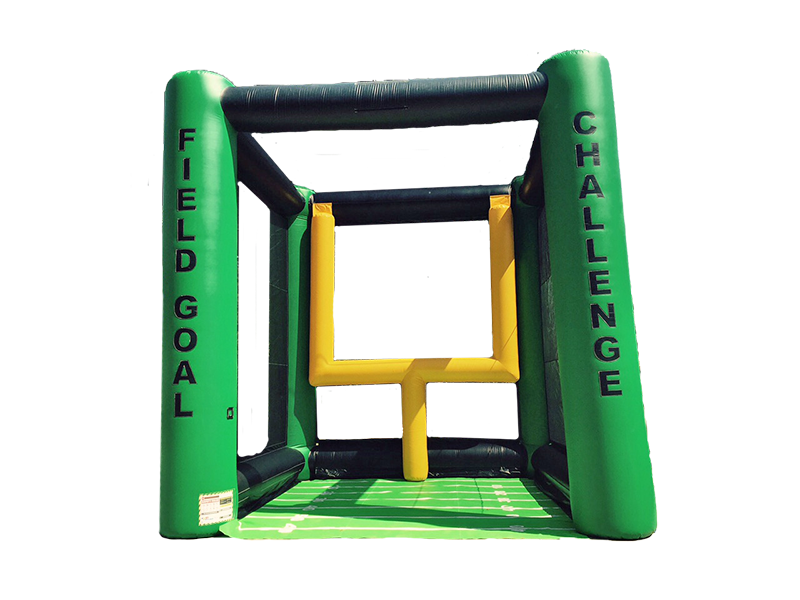 We offer quality games and inflatables with a professional staff that will make sure that your guests are safe and entertained. We’ve been providing great fun and quality customer service since 2001. If your event is within the Triangle area, we’re able to provide individual inflatables and moonwalks for smaller events, but we have a $250 minimum event amount for deliveries. For events in North Carolina outside of the Triangle area, we specialize in providing multiple inflatables and rides for large events. Minimum event amounts for areas outside of the Triangle will vary depending upon the mileage. 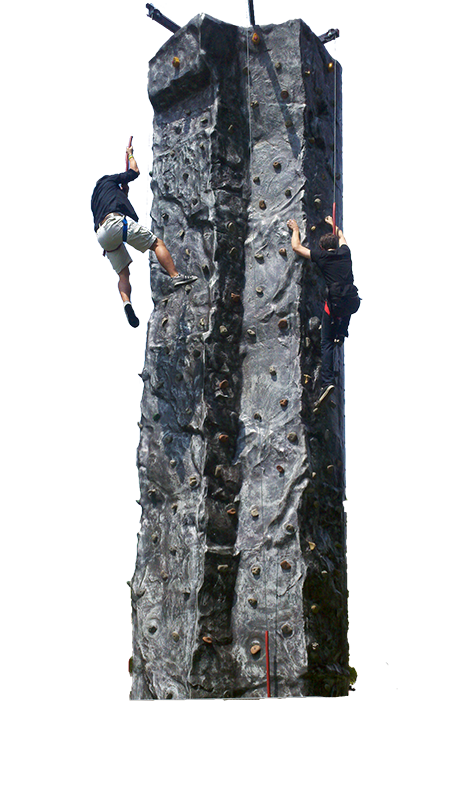 We offer a large variety of inflatable attractions and mechanical rides for rent including mechanical bulls, trackless trains, bungee trampolines, climbing walls, moonwalks, dry and wet inflatable slides, obstacle courses, dunk tanks, joust and sports attractions. We even rent such niche pieces as human foosball, twister, tricycle racing and dodgeball. We also rent carnival games and carnival tents. So whether you’re planning a corporate picnic, school or university event, Festival, Church function or a Carnival, we’ve got the attractions that will make your event a huge success! We hope that you enjoy checking out all of our products and if you have any questions or if you would like to check upon availability, please do not hesitate to contact us. 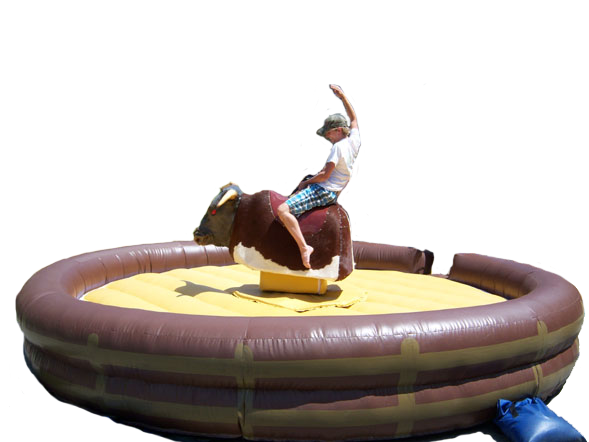 We rent bounce houses, moonwalks, inflatable slides, obstacle courses, water slides, mechanical bulls, bungee trampolines, trackless trains, human foosball, moon walks, inflatable jumpers, climbing walls, mini-golf, golf inflatables, carnival games, basketball inflatables, dodgeball inflatable, football inflatables, sumo wrestling, baseball inflatables, soccer inflatables, cash cubes, money machines, archery inflatables, surf simulators and foam machines for parties of all sizes. We also have sports inflatables, water rides, dunk tanks, giant tricycles and kids bounce houses for rent for your next party. We also have great Wipeout inflatables from the television show such as Meltdown, Dizzy X and Big Baller. We can assist you with all of your inflatable party rental needs. For your holiday party or winter carnival check out our Snowboard Simulator, Video Games and other Game Room attractions, Trackless Train, Superbooth, Carnival Packages and Mechanical Bulls. Make sure to rent your moonwalks from us for your next party. We service all areas of North Carolina for larger events and all areas of the Triangle for smaller events including Raleigh, Cary, Durham, Chapel Hill, Wake Forest, Morrisville, Apex, Holly Springs, Garner and Knightdale.